This comprehensive and practical book focuses on the core concepts of Intellectual Property. Its innovative pedagogy engages students with problems drawn from actual cases and provides them with introductions to cases and contextual summaries in the notes. Broader coverage of recent developments gives adopters greater flexibility in choosing materials within that structure. In addition to various intellectual property courses, Professor McKenna teaches the first year Torts class and has previously taught Civil Procedure. A Consumer Decision-Making Model of Trademark Law, 97 VIRGINIA LAW REVIEW (2011). Owning Mark(et)s, 109 MICH. L. REV. 137 (2010) (with Mark A. Lemley). Irrelevant Confusion, 62 STAN. L. REV. 413 (2010) (with Mark A. Lemley). Testing Modern Trademark Law’s Theory of Harm, 95 IOWA L. REV. 63 (2009). Trademark Use and the Problem of Source, 2009 U. ILL. L. REV. 773 (2009). The Normative Foundations of Trademark Law, 82 NOTRE DAME L. REV. 1839 (2007); reprinted at 97 TRADEMARK REP. 1126 (2007). The Right of Publicity and Autonomous Self-Definition, 67 U. PITT. L. REV. 225 (2005). Professor Madison writes and teaches about information law and theory. Classroom subjects include various disciplines of intellectual property law, contracts and commercial law, and property law. His scholarship builds on research on common pool resources, on governance, and on ''knowledge'' as a subject of legal regulation. 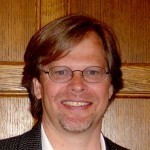 Professor Madison joined the University of Pittsburgh Law faculty in 1998. Before becoming a law professor, he practiced law in California for nine years. The Law of Intellectual Property, 2nd edition, (with Craig Nard and David Barnes), includes Teachers' Manual and website (Aspen Publishers, 2009). Constructing Commons in the Cultural Environment, 95 CORNELL L. REV. 657-709 (2010) (with Brett M. Frischmann & Katherine J. Strandburg). The Complexity of Commons, 95 CORNELL L. REV. 839-850 (2010) (with Brett M. Frischmann & Katherine J. Strandburg). Beyond Creativity, Copyright as Knowledge Law, 12 VANDERBILT J. ENT. & TECH. L. 817-851 (2010). Some Optimism About Fair Use and Copyright Law, 57 J. COPYRIGHT SOC'Y U.S.A. 351-370 (2010). Of Coase and Comics, or the Comedy of Copyright, 95 VA. L. REV. IN BRIEF 27- 42 (2009). Notes on a Geography of Knowledge, 77 FORDHAM L. REV. 2038-2085 (2009). The University as Constructed Cultural Commons, 30 WASHINGTON UNIVERSITY J.L. & POL’Y 365-406 (2009) (with Brett M. Frischmann & Katherine J. Strandburg). Intellectual Property and Americana, or Why Intellectual Property Gets the Blues, 18 FORDHAM INTELL. PROP. MEDIA & ENT. L.J. 677-710 (2008). Writing to Learn Law and Writing in Law: An Intellectual Property Illustration, 52 ST. LOUIS U. L.J. 823-41 (2008). Metaphor, Objects, and Commodities, 54 CLEV. ST. L. REV. 141-174 (2006) (with George Taylor). The Idea of the Law Review: Scholarship, Prestige, and Open Access 10 Lewis & Clark L. Rev. 901 (2006). Law as Design: Objects, Concepts, and Digital Things 56 Case W. Res. L. Rev. 381 (2005).